Bosch Vacuum Cleaners belongs to the renowned worldwide group of Bossch and Siemens Hausgeräte GmbH. The company’s basic philosophy is based on continuous innovation and maintaining high standards of quality. It truly believes in providing the consumer with products that can be measured high on performance, convenience and user-friendliness. The new series of Bosch vacuum cleaners are designed to meet all kinds of cleaning requirements. Bosch Compact Plus BSA 2100UC: Weighing just 9 ½ pounds, this compact vacuum cleaner delivers powerful cleaning at all times without taking up too much space. This versatile vacuum cleaner is powered by an 11amp motor and includes a self-sealing dust bag, on/off power button and a comfortable and a soft handle. Bosch Compact Plus Health Guard BSA2200UC: This model is often referred to as a Compact Plus Health Guard Vacuum Cleaner and surely enough using this vacuum cleaner will completely wipe away all kinds of dust particles and pollutants. The cleaner features a powerful filtration technology that is capable of capturing even the most minute dust particles, pollen, mites, bacteria and fungi. This vacuum cleaner is ideal for those who like their home to be hygienically clean or are prone to allergies etc. Bosch Compact Plus Hard Floor BSA2222UC: This powerful little tool works wonders on practically all kinds of floors ranging from hard and bare surfaces to plush carpeted floors. Its powerful suction ensures it picks up dust particles quickly and efficiently. In fact it has the ability to absorb dust even at the lowest setting. Some its amazing features such as the HEPA filter system, the Ergogrip Plus handle and the adjustable electronic power regulation makes this ideal cleaning tool have at home. Bosch Formula Electro Duo Vacuum BSG17360UC: This definitely has to be counted as one of the quietest functioning vacuum cleaner that surely works quietly but smoothly. 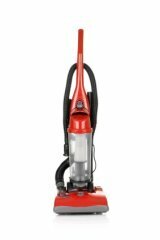 It comes packed with a bunch of interesting features including advanced HEPA filtration, 1400 watts of cleaning power and a 12" power brush. Bosch Premium Electric Duo BSG81370UC: This premium product is designed to offer the best in cleaning solutions. Its combination of lightweight built, powerful filtration and cleaning accessories make this one of the most reliable and durable cleaning tools. Bosch Premium Electro Duo XXL HC BSG81380UC: With a strong cleaning power of 1450 watts, this vacuum cleaner operates quietly and smoothly at all power levels. It boasts a bunch of features including a 3 layer dust bag, 13inch XXL electric burys, fiber pre motor filter and 4-in-1 cleaning tool. Bosch Formula Electro Duo Plus BSG71370UC: This lightweight Bosch vacuum cleaner offers some of the most amazing features that are bound to impress you with their powerful and efficient performance. With a far-reaching radius of 33 ft, ergonomic handle, a telescopic tube and removable accessories compartment make this an ideal tool to have at home. Bosch 3931A Airsweep Wet/Dry: This award-winning wet/dry vacuum cleaner offers a number of interesting features including the electromagnetic filter cleaning system and an advanced Bosch Power Broker system that prevents from blow circuits. Other features include special rubber swivel nozzle and rear wheels that facilitate easy transportation.